Last week we wrote a simple introduction to digital currencies, describing the motivation of their creators, the technologies that underlie them, and some of the pitfalls that may be waiting for speculators. A lot of readers found the piece helpful; if you haven’t seen it, please feel free to guild[at]guildinvestment[dot]com (request a free copy). Bitcoin and other digital currencies were designed as forms of “digital gold” that would meld characteristics of physical gold with those of electronic money. They may or may not ever become viable media for storing and exchanging value. For now, they remain highly speculative, highly volatile, and subject to a variety of risks that are nearly impossible to evaluate. Some of those risks are existential and could lead to the collapse of digital currency systems, either because of the regulatory crackdown or because of a technical failure from unexpected advances in computing technology. We concluded that for now at least, digital currencies are for intelligent and careful speculators who have some idea what they’re getting into — but definitely not for investors. With all that said, some of the most interesting things about digital currencies are not the currencies themselves, but the technologies that underlie them. We’re not kidding ourselves; the current bubble in bitcoin, ether, and several other digital currencies is much more exciting than the underlying technologies. Still, those technologies may ultimately prove to be more influential on the global economy and the global financial system than the currencies they were created to support. As we mentioned last week, bitcoin rests on two key technological innovations: public/private key encryption and the blockchain. 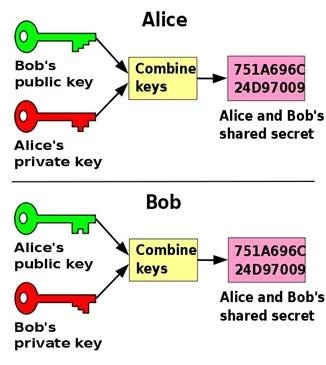 Public/private key encryption has been around since 1976; the blockchain was an innovation contributed by bitcoin’s anonymous inventor when he wrote the white paper that launched the currency in 2008. Bitcoin married asymmetric encryption to another technology: the blockchain, which is really just one example of what could be called distributed ledger technology, or DLT. DLT is simply a record of transactions that are not held and maintained by a single, central agent. Instead, it is held simultaneously by many “nodes” of a network who have a system in place to reach a consensus about valid transactions and add those transaction records to the agreed-upon ledger. Bitcoin’s blockchain incentivizes this process by setting up a verification race among the nodes and rewarding the winners with newly minted bitcoins (the only way the currency can come into existence). Bitcoin’s ledger is fully public, and the system is set up to prevent malicious actors from inserting fraudulent transactions into the ledger. But in itself, DLT doesn’t require such a “verification race,” as we’ll describe below. The most important characteristic of DLT is that it is held simultaneously in an agreed-upon form by many different transaction participants — and thus it can allow transactions to proceed without laborious cross-checking verification against individually maintained databases. Since DLT requires the secure authentication provided by asymmetric encryption, we’ll just roll them together. Any time we refer to “DLT” we mean the combination of encryption and distributed ledgers that bitcoin ushered in. The bitcoin system was set up to facilitate the exchange of bitcoins. However, it quickly became apparent to observers that DLT could secure, streamline, and transform any exchange — not just exchanges of digital currency. All economic exchanges revolve around the verification of identity and ownership, and in the past, those problems were solved through the presence of centralized records and trusted authorities in the exchange process. DLT suddenly created the prospect of “exchange infrastructures” where mathematical algorithms could take the place of those centralized records and trusted authorities — and get the job done a lot cheaper and faster. It helped that this new potential exchange infrastructure was emerging at the same time as artificial intelligence and the Internet of things — the beginning of a world where machines could be interacting and transacting with one another at the speed of a semiconductor. Make no mistake: there are a lot of hurdles to overcome before DLT starts to take over the “infrastructures of exchange” in earnest. The hurdles aren’t just technological; they’re psychological and regulatory. Most financial exchanges are highly regulated, and the use of these technologies will require regulatory buy-in. Still, they will be adopted more quickly in some areas than in others; and in many areas where regulators will drag their feet, they will ultimately acquiesce because of cost savings. So what are some of the areas where bitcoin-derived technologies can really shake things up? To our mind, the most immediate application of DLT is in the sharing economy and social commerce. DLT could cause the sharing economy to accelerate rapidly — to the detriment of incumbents and the advantage of innovators. At the core of the sharing economy and of social commerce is the management of reputation by buyers and sellers. AirBnB is a prime example: the functioning of this platform depends on reliable social credentials. Safety is a key concern; both guests and hosts want to know that the person they’re interacting with has a track record of honesty and straightforwardness — that the people and accommodations involved are what they seem to be. This is one primary reason, for example, those female travelers, on the whole, are less willing to use home-sharing platforms to find accommodations. AirBnB has fairly robust systems in place to ensure the identity of people on the platform, but there is still a period of negotiation and direct communication between guest and host where each has to get an intuitive sense of the other before going forward. While usually smooth, this process can often take a day or more. Such transactional friction makes the system incrementally less attractive than traditional hotel accommodation in spite of any economic savings. Another example from the world of social commerce is Yelp [NASDAQ: YELP]. Yelp is a platform where users can review businesses. Identity has been problematic on this platform in both directions — ensuring that reviews are neither fraudulently generated by businesses to artificially boost their ratings, nor fraudulently generated by bad actors to artificially reduce a competitor’s rating. What DLT technology suggests is the possibility of a “social blockchain” to resolve identity issues. Remember that the fundamental characteristic of a distributed ledger is that it is verified and agreed upon by all stakeholders and that once an entry has been made, it can’t be modified. A social blockchain would aggregate user behavior and transactions across multiple platforms. In YELP’s case, for example, DLT could ensure that a reviewer was a bona fide patron of a particular business before permitting a review to be added to that business’ “ledger” of reviews. In AirBnB’s case, the entire review history of prospective guests and hosts would be instantly available — not just from AirBnB, but from other social commerce transactions as well, giving users a much greater sense of security. While AirBnB is gradually taking market share from more traditional forms of travel accommodation, removing some of the transactional friction through the use of a social blockchain could accelerate that process — and potentially help business travelers more rapidly identify shared accommodations that are suitable to their needs. The construction of a social blockchain could ultimately resolve many of the inconsistencies and weaknesses of the existing reputation management systems that social commerce platforms depend on and help them make even faster inroads into traditional business models. This use-case highlights a critical way in which DLT, as it is more broadly applied, will differ from the bitcoin blockchain model. Bitcoin’s blockchain is designed to be public. As we noted last week, this is a key strength and also a key weakness. Because bitcoin sought to remove the need for any trusted intermediaries, it needed to come up with a way to have a consensus public ledger that could be verified by anyone. Broader DLT applications will not necessarily be public. While anyone can run a bitcoin node on their home computer, other DLT uses will involve a limited number of stakeholders who are given permission to access and use the database. The “social blockchain,” for example, could permit a particular restricted set of users, social commerce businesses, and financial entities to make changes to the ledger. This restricted, or private, blockchain will characterize most applications of DLT outside the bitcoin universe, and will smooth the way to regulatory approval of DLT uses in areas where privacy is important — for example, in medical and financial applications. DLT could also be applied in many financial settings. One where the case for DLT is especially strong would be in property titles. As it is, an entire industry — title insurance — has grown up around the need to investigate property titles before real estate transactions can occur, to make sure there are no issues or encumbrances, and to ensure transacting parties against potential problems. Most of the work in title insurance is manual legwork across a wide variety of potentially incomplete and inconsistent databases maintained by many financial and government entities. In developed economies, this process is laborious enough — but in many developing economies, existing property title systems are so fragmented and disorganized that property transaction costs can become extremely high. In Brazil, for example, transaction costs in real estate sales are estimated to average 12–14% of the total value of the transaction. We don’t have figures for India, but we suspect they are even worse. A distributed ledger of property title data would solve most of these problems. Particularly in developing market economies which could leapfrog legacy systems and adopt DLT directly, real estate transactions and financing could become much smoother and easier. In India, for example, such a system could indirectly offer a significant boost to GDP growth by facilitating property sales and development. DLT is also likely to offer significant back-office savings in various parts of the financial industry by smoothing and accelerating the process of clearing and settling a variety of market transactions. The Australian Stock Exchange is already beginning to experiment with using DLT as it upgrades its clearing and settlement systems. Finally, DLT may see use in the “internet of things” (IoT). We can imagine a case, for example, where smart meter technology and a distributed ledger are used to facilitate micropayments directly between homes that are producing excess electricity from their solar panels, and their immediate neighbors who need that electricity — without involving the central utility electricity distributor at all. In the IoT, such micropayments could disintermediate many economic actors, but only if instantaneous transactions are possible. DLT can facilitate such transactions by removing the need for human evaluation and review. To sum up, digital currencies may or may not last as a challenge to traditional asset classes. However, the technologies that underlie bitcoin — the combination of asymmetric encryption and distributed ledgers — are already being explored far beyond the digital currency world. In some industries, they will facilitate cost savings — and in others, they will be more radically disruptive. Investment Implications: For now, there are no direct investment opportunities associated with the wider deployment of distributed ledger technology. We think that DLT will have its first big impact in social commerce, where it is less likely to hit regulatory roadblocks. Look for the arrival of a “social blockchain” which will make social commerce credentials portable across a wide variety of sharing economy platforms, and could accelerate the penetration of those platforms into traditional markets. Eventually, DLT will lead to significant cost savings in many parts of the financial ecosystem, and could disrupt some specific industries severely, such as title insurance, and could be used to spark economic growth in parts of the developing world. Finally, DLT could help accelerate the decentralized operation of the internet of things by facilitating instant micropayments. Watch the development of this technology more to help you understand the evolving shape of these parts of the US and global economy.